Hunt Gather Feast is a series of dinners produced by Big Bon. The intention is to create friendship magic over a shared meal. 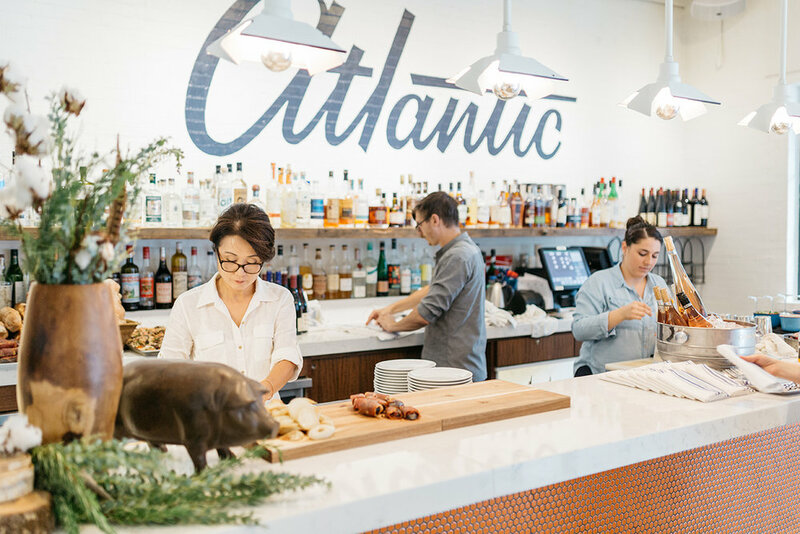 In their second Hunt Gather Feast, Big Bon collaborated with Chef Lauren Teague and Atlantic. It was a beautiful evening filled with stories, incredible guests, and food prepared with love. The dinner was inspired by a quail hunt at Roberts Shooting Preserve, nestled deep in the Georgia woods. From the dinner’s conception, Flourish was approached to bring life to the intangible magic of that evening. What resulted was an identity design that nodded to the experience’s Georgia roots, but with the refined luxury that the collaborators seemed to achieve through future events. Once the identity was developed, Flourish worked closely with the Hunt Gather Feast team to ensure the brand was woven seamlessly into the event, creating an elevated experience not yet brought to the Savannah area. Among other touchpoints, a Field Guide was developed to inform guests of the dinner’s concept, its hosts, as well as provide a “hunting map” of the various meals they could graze on throughout the evening.